Every industrial company knows that having the right equipment for the job is vital for success. While standard tools are important, it is also wise to make sure that equipment is designed to complement the efforts of workers and help them utilise all of their skills. Many technicians dread performing jobs that require additional elevation. Even those who are comfortable with heights may find that the cumbersome nature of working around ladders with minimal tools is difficult. 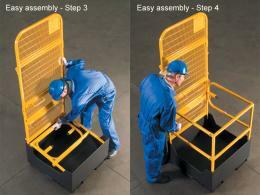 The Workplace Depot is excited to offer the Folding Access Platform. This handy unit provides a compact, cost-efficient, and easy-to-use tool for accessing higher areas to deliver excellent workmanship. What is The Purpose of The Folding Access Platform? 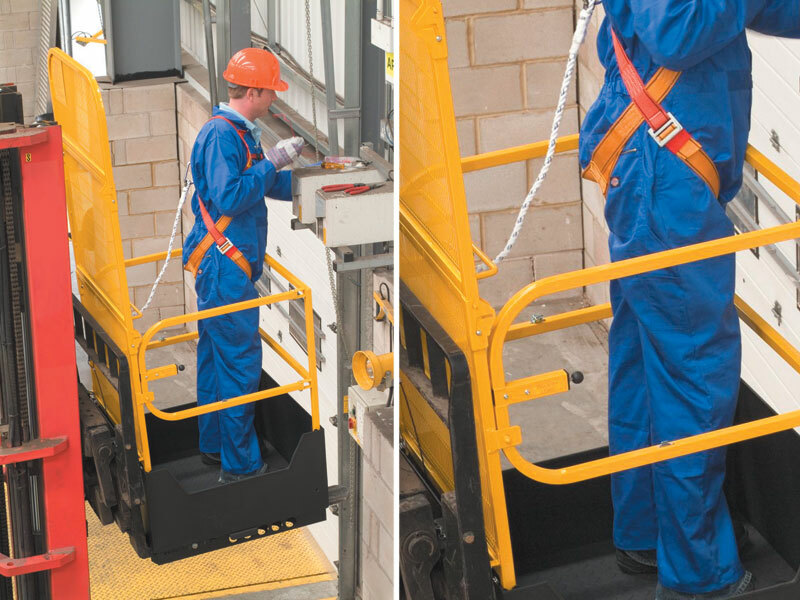 The folding access platform was designed to provide a compact tool that gives additional height during jobs. 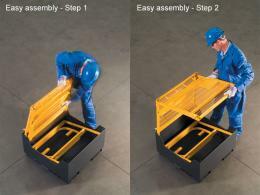 The product can be easily assembled in 30 seconds without tools and attached to a standard forklift. This provides the technician with a way to get the exact height and stability they need to perform jobs that require additional elevation. The platform can also hold tools in order to save time during any task. This product can prove incredibly useful for any painting, utility, or construction company. Every company wants to show off their precise workmanship, but elevated jobs often make this more difficult. This product can help to remove the difficulties presented by heights and allows technicians to complete tasks with precision and reliability. Some people are uncomfortable working on traditional ladders. Many tasks require numerous movements and a lot of reaching. 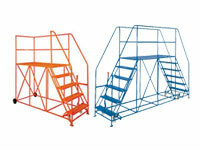 Doing this on a regular ladder can prove hazardous, but the folding access platform provides unrivalled stability. In addition to this, the unit is easily transported in smaller trucks and can be quickly assembled to use onsite. The product can prove to be a reliable unit to have on hand at any factory or work site due to its compact nature. It can be easily stored away when not in use and assembled quickly when needed. With fitted wheels, the unit is easily manoeuvrable and can be transported from site to site as needed. Improve your business today with this compact, handy and economical solution for tackling high jobs!